Editor’s Note — In late March, I published an essay by Bradley P. Beaulieu about the changing landscape of publishing and why he decided to leave his publisher, Night Shade Books, and relaunch his Epic Fantasy trilogy, The Lays of Anuskaya as a self-published series of eBooks. Seeing this, Michael J. Sullivan, author of The Riyira Chronicles, one of Fantasy’s early self-published success stories, wrote to me with his own valuable take on the world of ‘hybrid publishing.’ You can find more information about Sullivan’s upcoming novel, Hollow World, on the official Kickstarter page. I first met Brad Beaulieu at ConFusion this January. We were having lunch and after telling me about what was going on at Night Shade we tossed around the various options. I encouraged him to retrieve his rights, do another Kickstarter, and take control of what I saw as a valuable franchise. He was probably already leaning that way. Hopefully I gave him the last nudge to take the leap. 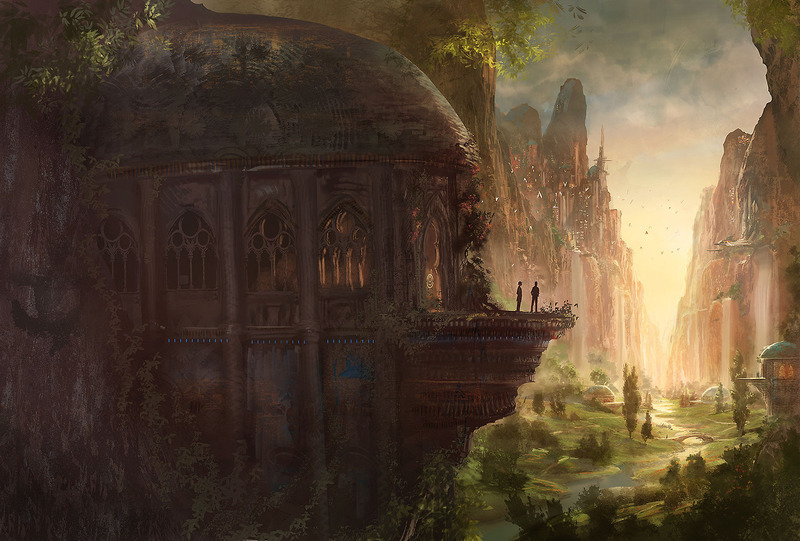 I will be taking the hybrid route myself with one of my upcoming novels, Hollow World, and I couldn’t be more thrilled with his decision, and I think it will work out very well for him. I’m a huge supporter of the hybrid model. Traditional publishing opened doors for me that I couldn’t get when I was self-published. Now that my books are in libraries and bookstore, my audience broadened. I received more foreign deals, and the advances on those were probably larger than they would have been without Orbit. There was even book club and audio versions produced, which paved the way so to Theft of Swords being named a finalist for an Audie (the audio book equivalent of the Grammy). These are all good things, but there are also aspects that I miss from my self-publishing days. 80% of titles never earn out, so the advance is the only money the author will ever receive. Cash flow is one of the biggest. Money in traditional publishing comes in chunks separated by vast amounts of time. An advance is sometimes split over three or four payments. For instance, I receive a third when the contract is signed, another third when the manuscript is accepted, and the last third when the book is released. Multiple books deals are common in speculative fiction so that “big advance” is often stretched over several years. Also, eighty percent of titles never earn out, so the advance is the only money the author will ever receive. Even for those that do, royalty checks only come twice a year. With self-publishing, income comes every month like clockwork. It makes managing your life much easier. Control is another obvious perk. I don’t dislike the covers that Orbit has produced, and as I said they sell well, but I do have my own “vision” for the package of my books and it’s incredibly satisfying to be able to produce Hollow World exactly the way I want…right down to the fonts used and the teaser copy on the back cover. Traditional publishers are still clinging to DRM, something I feel doesn’t deter pirates and only inconveniences legitimate purchasers. Being able to dictate distribution aspects is also something I’m looking forward to. Traditional publishers are still clinging to DRM, something I feel doesn’t deter pirates and only inconveniences legitimate purchasers. Also, they’re not interested in bundling ebooks when print copies are sold. I know the logistics and potential income loss is problematic for them, but I feel strongly enough about this not to have those things deter me. So anyone who buys a print copy of Hollow World can get DRM free ebooks (in any format) for free. Better support for international selling of ebooks is another advantage. It’s somewhat complicated to explain, and I don’t want to get into the minutia, but the difficultly of managing territories when publishing multiple authors has made it such that some countries can’t legal get copies of some traditionally published ebooks (which unsurprisingly encourages piracy). Hollow World won’t have this problem, and fans that lost access to my books when Orbit picked them up will get access once again. Another huge advantage with self-publishing is flexibility. If I want, I can offer Hollow World free or at a significant price discount. I can bundle it with other works of mine or another author. I can create limited edition leather copies for collectors. I can do anything I like. I can’t tell you how many times someone has requested something that is “out of the box” and I’ve had to say no because of contractual restrictions. From a purely monetary perspective it’s impossible to know whether Hollow World would earn more if traditionally published or going the self route. The only way to know for sure is to spilt the future into two virtual realities and see how each one plays out. But I do know the incredible income potential of self-publishing. At my height I was earning more than $45,000 a month and I know hundreds of self-published authors who are earning more than comfortable incomes. In fact, I know more self-published authors who have quit their day jobs and earn a living wage than I do traditionally published ones. So, while I can’t tell which route would ultimately produce more money, I do know that diversification is a good thing, and having titles released through both paths helps to mitigate risk. I applaud Brad for going the hybrid route, and I’m excited about my own entry into this dual status. I think we’ll see more and more authors shifting to this business model merely because it makes the most sense. Self-publishing has been a good thing for authors (even for those who have never gone that way), because it provides a second viable alternative to traditional publishers, and competition is almost always good. I think the more authors that switch to the hybrid business model, the better the industry will be as a whole, as it will help to balance what has traditionally been an industry where a select few wield immense power over the lives of many. The term “industry-standard” will hopefully come to reflect a standard of quality rather than a standard of control, as publishers will need to adjust their contracts to be more “author friendly” or risk losing valuable titles. Many traditionally published authors that I’ve talked with feel there is a dagger hanging over their heads. Many traditionally published authors that I’ve talked with feel there is a dagger hanging over their heads. They fear an editor will leave, their next book won’t be signed, or a project will be cancelled. In the past, that meant putting work in a drawer and starting something new, hoping that it will be better received. This has cost authors income and readers the right to decide what they like. It saddens me every time I hear this happen, but in today’s age it’s not necessary. Many traditionally published authors—or those aspiring to be such—steered away from self-publishing because of the age-old mantra that “money should flow to the author.” They don’t want to give up their advances, and they certainly don’t want to dig into their own pockets to fund cover design and editing. As for readers, they are annoyed self-published works with poor editing, and they also have a problem determining the “good” from the “bad” as there is no gatekeeper to arbitrate. Hybrid authors, and particularly those that utilize Kickstarter as I and Brad have done, solved all of these problems. The Kickstarter provides the author with production capital, and if it goes well, will also receive an advance. Readers can buy with confidence because the author has previously received that all important “stamp of approval” from the publishers, and also validation from prior readers (the highest contributors to the Kickstarter) because they are willing to put down money to get more of what that author produces. Authors, who know firsthand the importance of editors and the value that they provide, will hire professionals from the money the Kickstarter raises. I know more than a few traditionally published authors who have tried to self-publish and declared it a failure. Usually they throw something up to see if it sticks…and it doesn’t. That’s because if you are going to self-publish, then you need to do it right. They need to take a page from the playbook of indie authors that approach their work’s publication like a business, because it is. They’ll test out various covers, experiment with pricing, learn which categories they should use, and hold promotions such as free books or deep discounts. They already have proven that if you write a good book and package it professionally, it can succeed. And they do this without any the creditability of a signed contract or a household name. I could have produced Hollow World the same way I did my other self-published books: create the cover myself, scrutinize every word in multiple copyediting passes, and do the layout and formatting. This is another reason why traditionally published authors shy from self-publishing. They lament that they “just want to write” and I respond that I’m no different. And again, this is where Kickstarter comes in. The funding provides me the freedom to hire the exact same professionals that New York uses, so I can still concentrate on writing while “my team” is off making their contributions to the work. Despite all the rhetoric by those professing either self or traditional is “the right” way to go, the truth is there is no single “right path” just one that is a better choice for a particular project at a particular time. 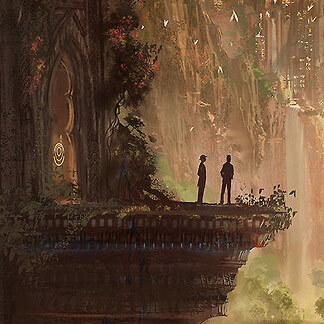 For Hollow World I’m using Marc Simonetti for the cover (he did Rothfuss’s French covers, as well as the A Game of Thrones cover for Martin’s Mexican release, and my own French editions, just to name a few). I’m going with Betsy Mitchell for structural editing. For those that don’t know, she has more than thirty years in the business, has edited more than 150 books, and was the editor-in-chief for Del Rey for a decade. I’m still working on who I will hire for copy editing, but I have a good list of names of people that have worked for big presses. The positive side about all the downsizing in publishing over the last decade is that most copyeditors are freelance these days. My contract with Orbit prevents me from publishing any books between April 6, 2013 and January 17, 2014, so I’ve set the official release to be January 20, 2014. For those that preorder as part of my Kickstarter, they will receive the book in June or July—a full six or seven months before it goes officially on sale. So there you have it, another author who is going the way of the hybrid and I think there will be many more. Both self and traditional offer pros and cons, both can co-exist and even act synergistically with each other. What about my works after Hollow World? I have no idea. A good hybrid author doesn’t decide that ahead of time. Right now I’m working on writing the best series I can, and when it’s done, I’ll evaluate the various alternatives and pick one. Despite all the rhetoric by those professing either self or traditional is “the right” way to go, the truth is there is no single “right path” just one that is a better choice for a particular project at a particular time. When it comes time for the next project the decision might go the other way. In today’s publishing environment adaptability is what it’s all about and a hybrid author excels at flexibility. Michael J. Sullivan is a science fiction and fantasy author. His fantasy trilogy, The Riyria Revelations, is one fantasy's most successful self publishing stories. Michael (and Aidan), thank you for sharing this! With my my first manuscript edited and in the can, I am deciding what to do (and how best to do it) in terms of getting my stuff out there. I am unpublished but do believe that the future for those like me looks bright. A difficult road to navigate for one just breaking ground, though. Great post, Michael. It’s wonderful to see Hollow World doing so well. And it’s also nice to see that this approach is gaining in popularity. I think the more successful projects we see—not just in the funding, but in the final produce—the more readers will feel comfortable in backing them. And also, I do feel good about being able to “spread the wealth” a bit with artists and editors that I trust. And yes, you did nudge me over the edge. I already had some confidence having run the Kickstarter for my short story collection, but it was great having your perspective and advice before diving into the larger project for my Lays of Anuskaya series. My thanks again for that. When Kickstarter is used in this way, I can’t help but think of the eras in history when artists were supported by wealthy patrons who believed in their abilities. The next few decades promise to be exciting times for all artists but, I think, especially for writers. E-publishing, public financing, on-demand printing and distribution… the ground beneath us is shifting. Here’s to the hope that soon the mid-list authors of the world will be able to support themselves with their works instead of laboring (out of love) in the wee hours after their day jobs. @Brad – you are most welcome. You make a good point that now that publishing has cut budgets so close to the bone, the self-publishers are going to increasingly be a good source of income for editors and cover designers who once relied exclusively on publishers. All money originates from the readers, and they are rewarding us, and those great professionals that make the books so good. @Darren – Glad you found the article helpful. So many more opportunities now – it’s a great time to be a writer. Just remember no single path is universally “best” but there will be one “best” route for you. Do your research, clearly understand your goals, and the path will appear for you and your work. I wish you great success. @Kyle – I so agree. It really is the democratization of creation an the only two people in the whole “supply chain” that are necessary are the writer and the reader. It is getting better all the time. I don’t have a day job, and I know quite a few in the self-publishing world who also do. The shame of it all is in traditional, where even people who are fairly well known are earning way blow minimum wage when you compare what they get from traditional publishing verses the number of hours they work on writing. My compliments on your most excellent, insightful essay, Mr. Sullivan! Since the days of Egypt and Rome, the artist has sought the funding of the patron. What changes over time is how the artist seeks the funding! Excellent article, Michael. It’s exciting to see the capacity for immediate and direct communication, access, and support between readers and authors shifting the balance of publishing power. Good article, thank you for this. I think one of the hurdles that authors using crowdfunding need to overcome is the ‘author as introvert’ – if indeed they are! Of course, going the self-publishing route has exactly the same issue for some writers. However, writers are well placed to have a good chance with crowdfunding as they have the craft of telling a story. To me, each project IS a story and a writer has a good ability to make it compelling enough to receive support. I love this way of funding for authors and let’s face it – done well by the writer they can have ongoing patronage and support for their next title. 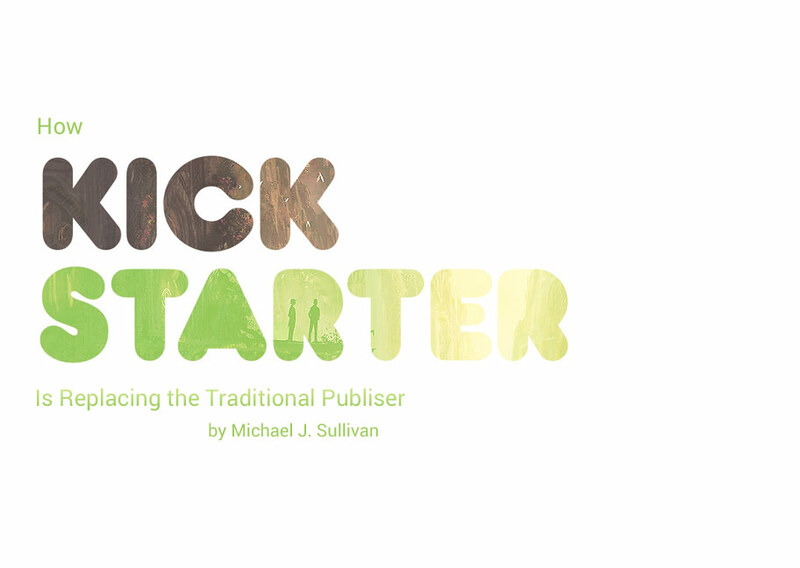 I think a more appropriate title for this post is “How Kickstarter is Filling in the Gaps in the Traditional Publishing Model.” As you say, Mr. Sullivan, you are sticking with a hybrid model, like many authors. Thus, Kickstarter isn’t actually replacing traditional publishing; it’s changing the way authors engage with the professional sphere. @SMD — I should point out that I chose the title for the article, not Michael. @Daven – thanks glad you liked it…and you ware right, technology changes but people willing to support art they love seems to be a time honored tradition. @Anna – Agreed. I’m sure that most writers would like to just stay hidden away in their office banging on keys. For good or ill, in today’s publishing environment ‘getting the word out’ is part of what is necessary and that doesn’t matter whether you are self or traditionally published. The overwhelming thing I’ve learned from this is that people want to contribute and support authors whose work they love – they don’t feel “put upon” they feel a general grass-roots pleasure of being part of something. Kickstarter suggests exactly what you mention…”tell your story.” It’s when people connect on a very personal level that the magic occurs. @SMD – Yes indeed and ad Aidan mentioned he chose the title – good for eyeball grabbing ;-) I do think that authors who do some in each route will benefit the most. The title is 100% though in that two of the important aspects: funding production, and paying advance is being handled quite nicely by Kickstarter. I’m currently just over $23,000 for my KS and that gives me $3,000 for production and $20,000 for an advance which isn’t as high as I get when traditionally published, but is much more than many projects are signed for. Congratulations on your successful Kickstarter. This was a great post. I am finishing up a Kickstarter for something nonfiction, if you’re interested to see something from that end. The book release is being hosted by the World Bank in a few weeks, which has lent the project credibility and has traditional (big) media interested in talking to us (me) about the project. I see you’re in Vienna – you should come to the release!